link to Tast 1, Drizzle stitch I created a fringe on the dress of this silk picture. The lamb Drizzle stitched fleece was made with a 4 ply cotton and 8 cast-ons. The head fleece was the same thread but I made French Knots for a finer look. The straight stitches were done with a crochet thread. The pink Drizzle flowers were stitched with a DMC , almost no twist, cotton. I don’t know the name of this one but it’s equivalent to perle 5. It took a while to do so many stitches but it was easy and enjoyable as well. Click on the lamb for a better picture. Sharon is generously and freely sharing the Take A Stitch Tuesday challenge with everyone. Even though we are well into the year for Tast 3, anyone, from novice to more advanced, can join in and learn at anytime. Here is the link to find about how it works. Wow, so many drizzles, it’s cute! Thank you Annet. Yes lots of Drizzles and even the re=threading was not boring. 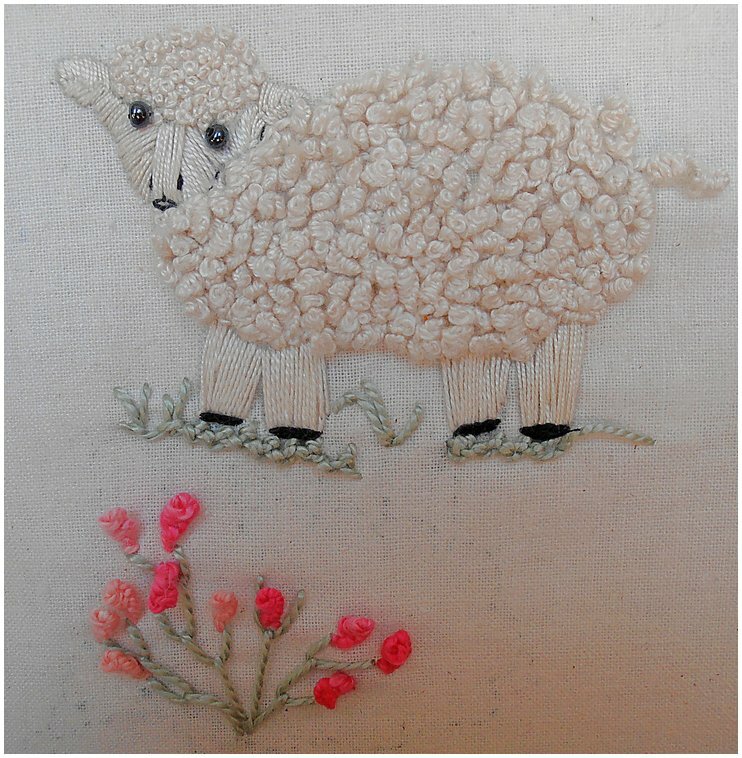 It looks a great stitch for a fluffy sheep. That is such a clever idea with the drizzle stitches! This is so cute !!!!! Lovely drizzle fleece she got.!!!!!! Thank you Latha for your comment. What a cuddly little lamb! 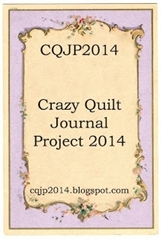 It is amazing how many participants have used the Drizzle stitch for hair or fur. Hi Queenie, I thought of you and Karakul when I stitched. I haven’t seen all of the samples yet but so far a few animals have evolved. All fun! I love this!! So wonderful. Thank you eclecticlamb, I’m happy you like it. The lamb is just fabulous, Maureen. That lamb is so CUTE!!! oh my, this is soooooo cute!